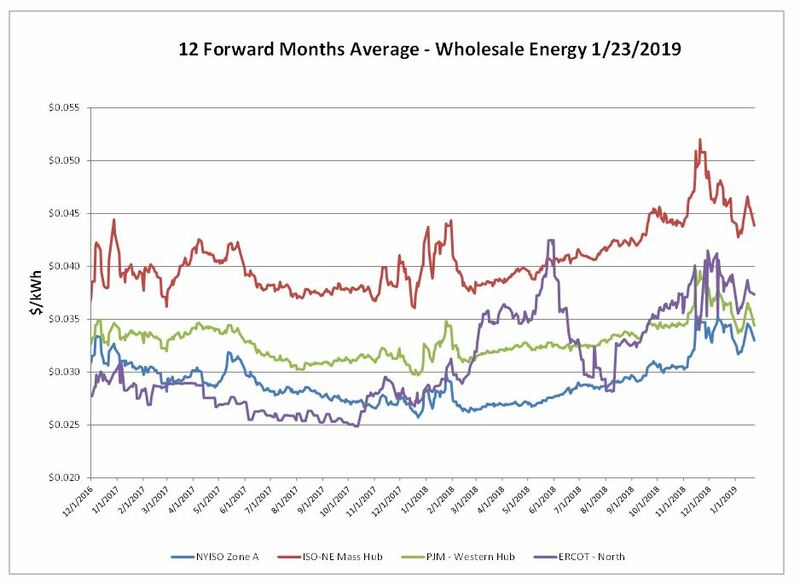 Electric markets continue to feel the volatility of winter temperatures and natural gas demand as prices jump up and down week over week. The East Coast saw some of the coldest temperatures of the season over the report week. All markets shot up on the day-ahead market, while New England felt the greatest impact. Although average temperatures were much below normal at times, the cold spell was not as severe as last year when the cold was more prolonged over a week’s time. 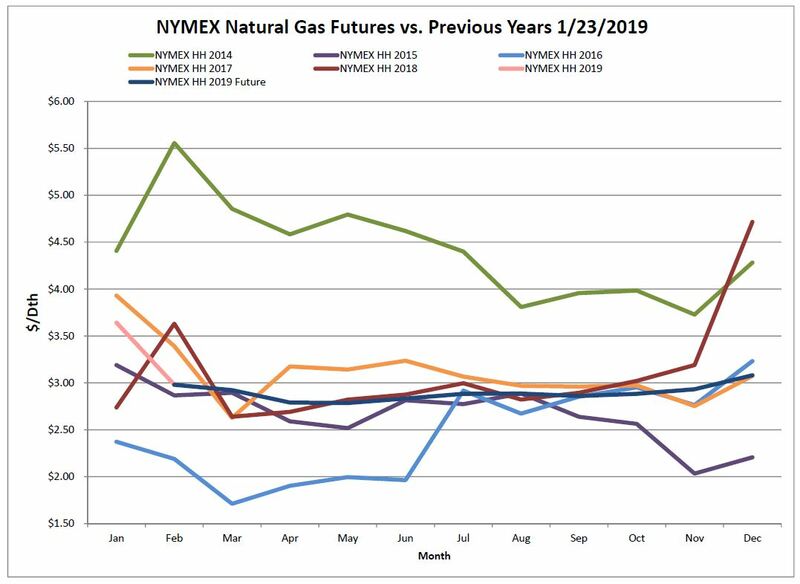 Although natural gas demand was high amid frigid temperatures, the NYMEX was relatively unphased. 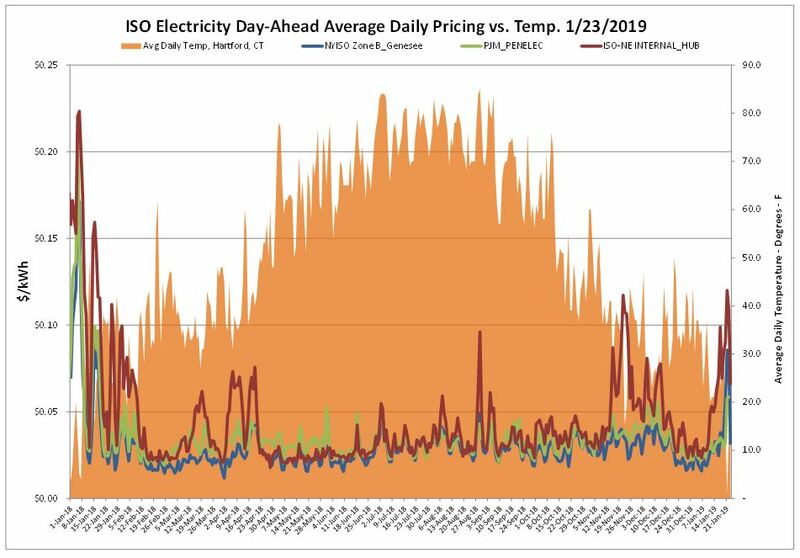 In New England, LNG imports helped to keep natural gas and electric price down in the region and kept pressure off the pipeline during this tight time (see article below). Overall, the NYMEX was down 4 cents week over the week and Algonquin was down 17 cents. February NYMEX settlement will close on Tuesday 1/29. According to EIA estimates, a net decrease of 163 Bcf from the previous week was reported. As of Friday, January 18, 2019 working gas in storage was 2,370 Bcf. This lower than expected withdrawal pushed storage to a positive level relative to last year as we are now a mere 1% above last year’s estimates. 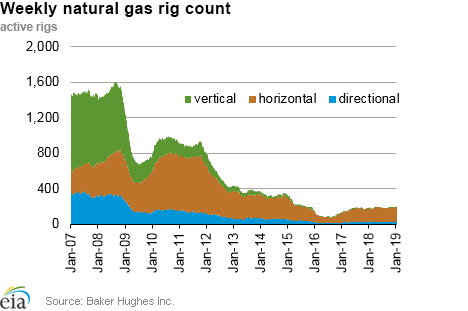 The Baker Hughes exploration gas rig count decreased 1 rig from last week for a total of 197 rigs. This is 9 more rigs than were in operation at this time one year ago when there were 188 rigs. Although temperatures have been up and down during winter thus far, when averaged over November, December and January, temperatures equal out to be almost exactly at the 10-year normal range. Weak El Nino conditions have been present though most of the heating season; usually defined by a warm December and early January, and colder late January into February. So far weather patterns have followed this template. 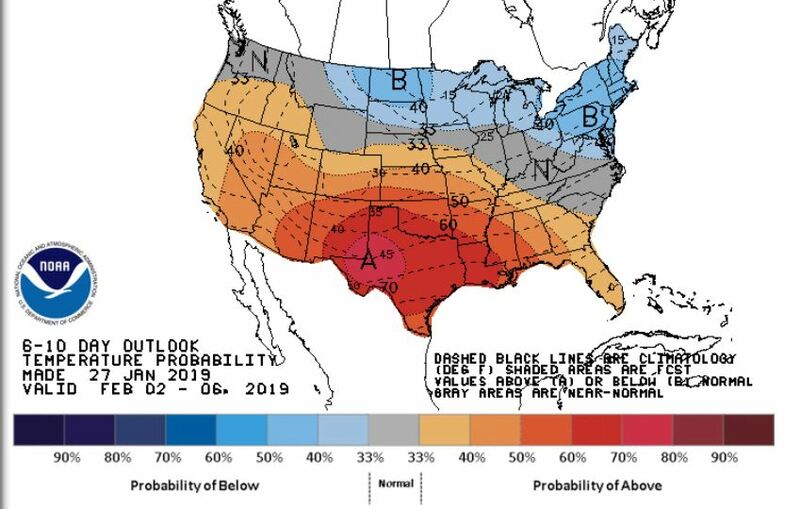 Forecasts for the 6-10 day outlook anticipate that more below normal weather will rock the Northeast and portions of the Midwest. While Texas and some of the West Coast will see warmer or more seasonable temperatures. 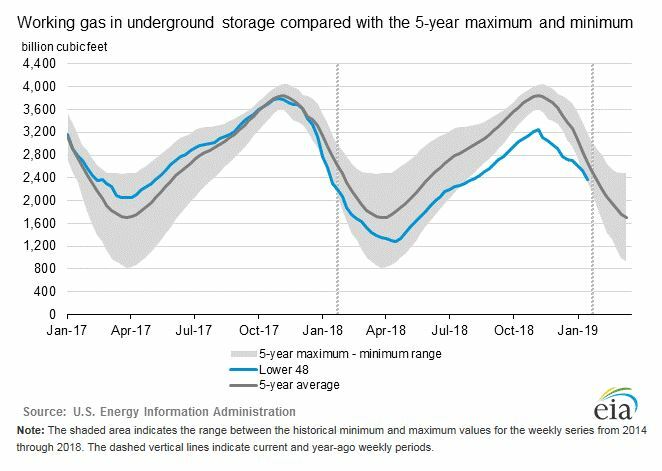 Four natural gas flow days for the Martin Luther King Jr. holiday weekend will allow for Northeastern LNG importers to capture elevated cash prices in Friday’s trading due to the arrival of winter volatility. The latest S&P Global Market Intelligence data shows that a total of 49 gigawatts (GW) of new power generation capacity will be added in the United States in 2019, but will also see the retirement of nearly 6 GW of coal. New York Gov. Andrew Cuomo (D) is continuing his push for renewable energy in the state, as the governor on Jan. 15 announced an initiative for New York to achieve 100% carbon-free power generation by 2040.